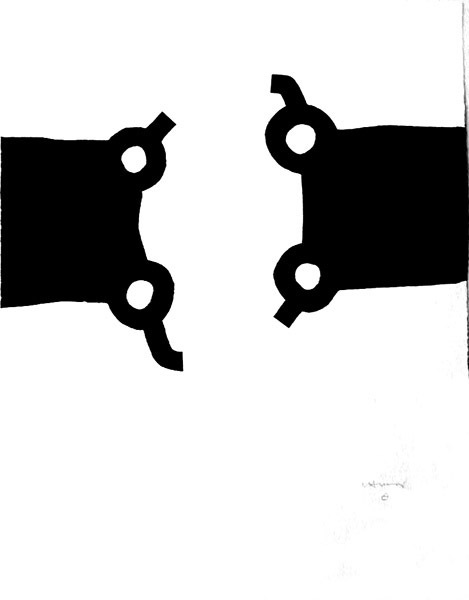 Chillida was one of the great abstract sculptors of the twentieth century. He was also an important printmaker, working in lithography, etchings, silkscreen, and woodcut. Bibliography: Alan Bowness, Chillida (London: Hayward Gallery, 1990), Julien Clay, Chillida L'Oeuvre graphique / Obra grafica / Graphic Work Vol. 1 (Paris: Maeght, 1978; Catalogue raisonne covers graphic work 1959-1977), Julien Clay & Jorge Guiullen, Eduardo Chillida Oeuvre grave (Paris]: Maeght Editeur, 1993), Claude Esteban, Chillida (Paris: Maeght, 1971), Octavio Paz, Chillida (Paris: Maeght, 1979), Solomon R. Guggenheim Museum, Chillida (New York: Guggenheim Museum, 1979), Martin Van Der Koelen, Eduardo Chillida. Opus P.III. Catalogo completo de la obra grafica - Catalogue raisonne of the original prints - Werkverzeichnis der Druckgraphik (1986-1996) (Mainz: Chorus-Verlag, 1996), Octavio Paz, Chillida (Pittsburgh: Carnegie Museum of Art, 1979; Catalogue Raisonne of the artist's sculpture), Werner Schmalenbach, Eduardo Chillida Zeichnungen 1948-1974 (Berlin: Propylaen, 1977; Catalogue Raisonne of the drawings, 3 Vols), James Johnson Sweeney, Eduardo Chillida (Houston: Museum of Fine Arts, 1966). Competition in harmony. 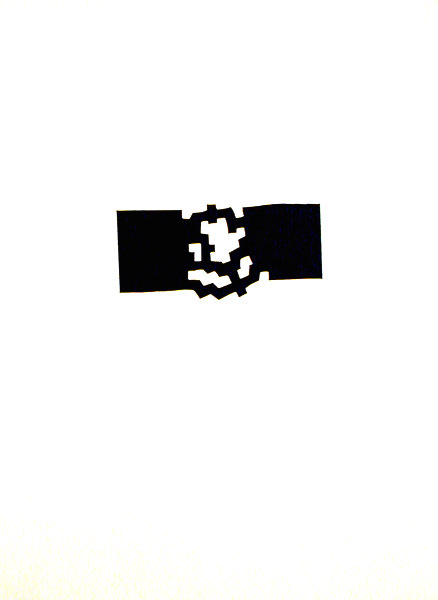 Original silkscreen with embossing to connect the two parts of the object at top and bottom, 1988. Edition: 300 signed and numbered impressions for the 1988 Seoul Olympics plus 300 HC impressions intended for the members of the International Olympic Committee. The publisher went bankrupt and the edition, though printed, was never published. Some copies have been released through the bankruptcy proceedings. 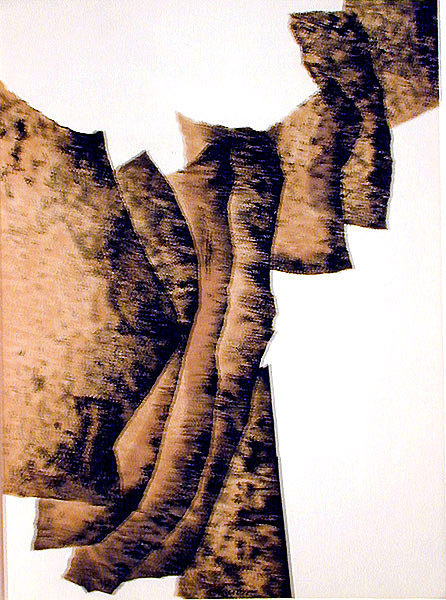 Ours is a signed and numbered impression in excellent condtion. Image size: 890x685mm. Price: SOLD. Correlation (M. 4). Original color lithograph as published in Derriere le Miroir, the deluxe art review formerly published by Galerie Maeght. 150 signed impressions plus an unsigned edition as published in Derriere le Miroir. Image size: 380x280mm. Price: $550. Composition I. Original woodcut as published in Derriere le Miroir, the deluxe are review formerly published by Galerie Maeght. C. unsigned impressions for Derriere le Miroir. Image size: 55x120mm; paper size 380x280mm. Price: $275.